Westwood Residences, which will be ready in 2017, is built with a cycling theme and comes with a mini velodrome. Clear Picture surrounding Westwood Residences. Watch the official video of Westwood Residences. Westwood Residences is the last new launch executive condominium (EC) in Jurong, with an average price of slightly below $800 psf. The price is generally around $60 psf cheaper than Lake Life due to cooling measures such as stricter mortgage loan rule (MSR 30%) and resale levy were introduced in Dec 2013. The mini velodrome at Westwood Residences. 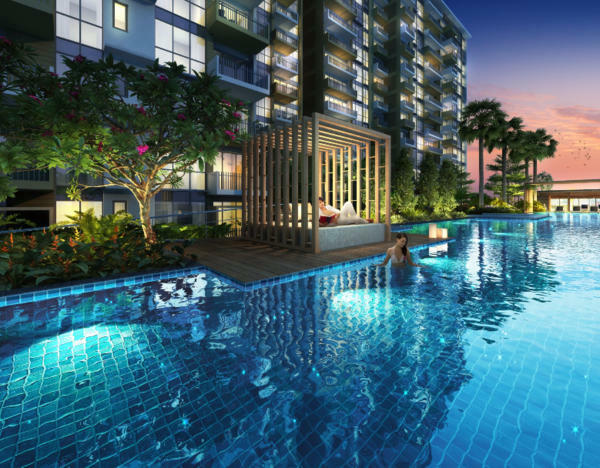 The previous EC launched in Jurong was Lake Life which went for sale at an average of $857 psf, and was fully sold. The developer price Westwood Residences at $60 psf lower than Lake Life, thus second-timer will be compensated indirectly in the form of discount, while first-timer still get to enjoy a subsidy up to $30k CPF grant. 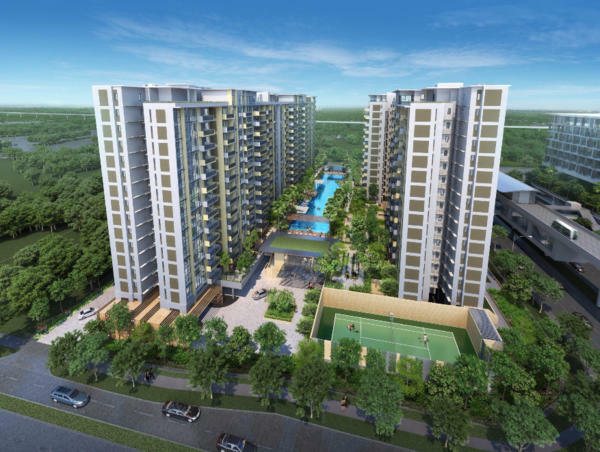 Westwood Residences is developed by Koh Brothers and Heeton Holdings. 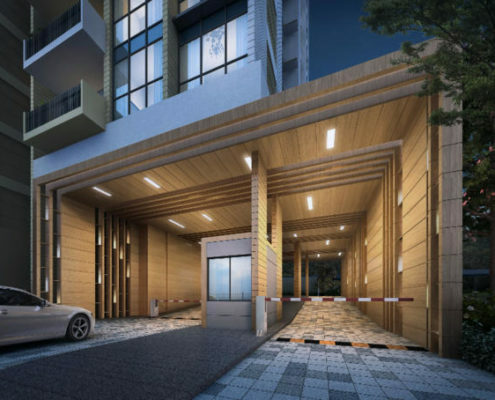 Koh Brothers Development Pte Ltd is a well-established construction, property development and specialist engineering solutions provider in Singapore. 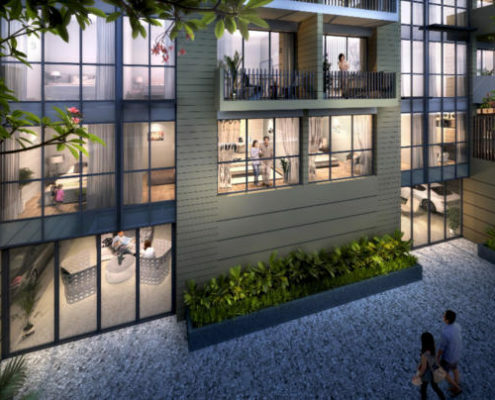 Heeton Homes Pte Ltd is a niche developer who delivers distinctive homes with strong track record of creating stylish and distinctive developments in prime locations in Singapore, South East Asia and Europe. 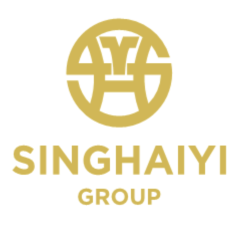 Their projects include iLiv@Grange, Lincoln Suites, Onze@TanjongPagar, The Boutiq and more. Westwood Residences is the first ever bike-themed development in Singapore, will be completed in 2017. In line with the government’s vision to promote the environmental-friendly mode of transport, Westwood Residences plays a significant role in creating healthier, more sustainable communities. The 480-unit executive condo will feature a mini velodrome and a bicycle garage which can house 500 bicycles, secured by a biometrics system. Surrounded by stylish 3 storey landed residences and another executive condo, Floravale, Westwood is located within the tranquil private residential enclave at Westwood Estate. The estate is just few-minute drive away from Jurong Lake District. Car drivers can be easily accessible to PIE, AYE, KJE and BKE. The nearest MRT is approximately 4 minute drive or 4 bus stops away from Boon Lay and Pioneer MRT station (green line), which can link to Raffles Place in 36 minutes. Thanks to the video extracted from JID announcement by JTC, the new Jurong Regional line (JRL) will be within walking distance to Westwood Residences. To be ready in 2025, JRL will serve 2 directions which link to NTU, Boon Lay and Choa Chu Kang. 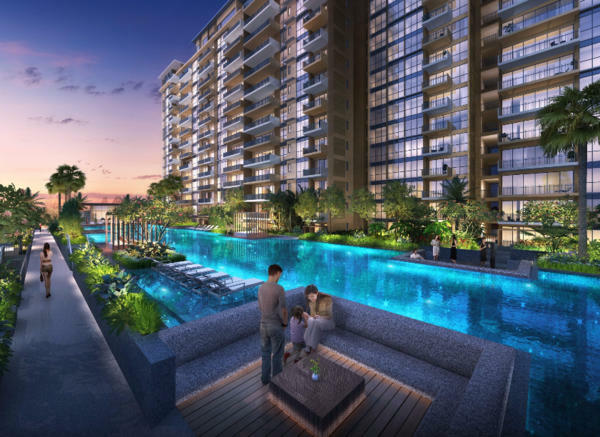 The residents at Westwood Residences will enjoy the benefit being close to Jurong Lake District. With designated 500,000 sqm of office space, 250,000 sq m of retail and entertainment space and 2,800 hotel rooms, Jurong Lake District is set to be the largest business district after CBD. Watch the URA Master Plan for Jurong Lake District. 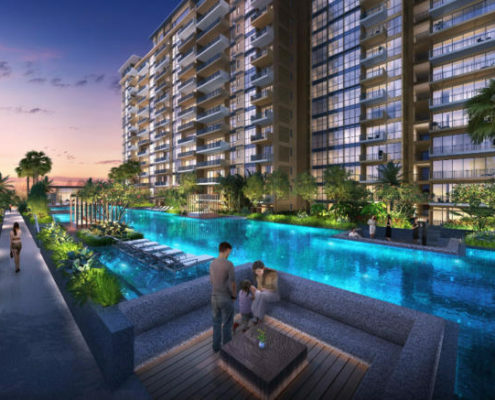 Watch the Latest Video Released for Jurong Lake District. In addition, the recent announcement from JTC reported that Jurong Innovation District is located just across the PIE. Jurong Innovation District (JID) will house learning, research, innovation and production activities together. The district will integrate Nanyang Technological University (NTU) with the surrounding areas. Companies will house research and development and prototyping labs, advanced manufacturing and robotics, and maker’s spaces there. Hundred thousands of jobs will be created in Jurong and eventually boost the demand for housing in the proximity including Westwood Residences. In my opinion, I believe that the government foresee the situation that there will be hike of demand of new homes in the vicinity due to the developments in Jurong, and therefore a new town similar to Bishan Town will be developed – Tengah Forest Town. Residents at Westwood Residences can enjoy a lot of options when it comes to retail and dining. The newly refurbished Gek Poh shopping centre is just 5-minute walk away from Westwood Residences. Gek Poh offers Subway, KFC, McDonalds, Gongcha, bakery shops and Prime Supermarket. Slightly further is the Pioneer mall, which offers Giant supermarket, fast food restaurants, food court and beauty salon. 4 bus stops away from Westwood Residences, we have Jurong Point Shopping Mall, which is next to Boon Lay MRT station. More than 450 stores ranging from sports, banks, jewellers, electronics, pet clinics, department stores, wide variety of eateries and Golden Village Cinema complex. 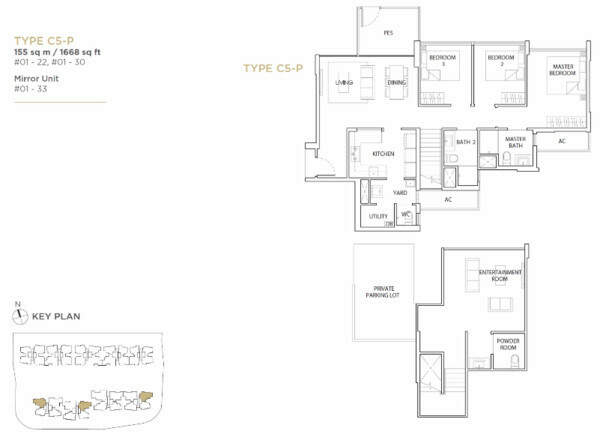 Sol Acres executive condo, the first EC with widest choices from 1-bedroom to 5-bedroom. I compared the nearest private condo, Hillsta with Sol Acres. A one-bedroom unit (635sqft) at Hillsta was sold for around $700k, while the three-bedroom size (926sqft) at Sol Acres also transacted at the same price. If you are eligible to own an executive condo, will you go for it? If you are eligible to own an executive condo, will you go for it? The answer is quite certain, is’nt it? Sol Acres is the biggest executive condominium (EC) which will yield 1,327 homes in 2018 (estimated based on the current site progress). 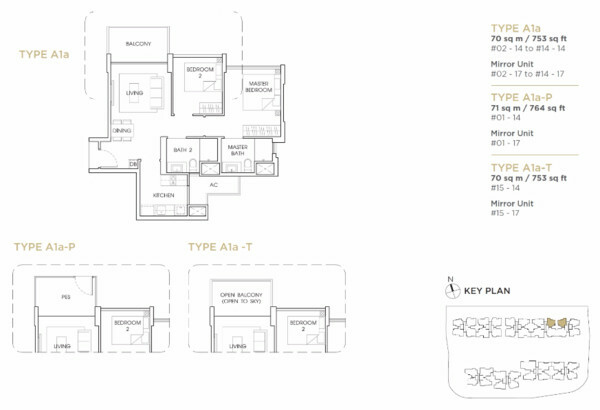 Sol Acres comprises 13 towers ranging from 19 – 25 storeys tall. Sol Acres offers total of 50 facilities, with 3 pools, 2 tennis courts, etc. There are two entrance and exit for private car users to prevent the peak hour congestion. Sol Acres is the first executive condominium (EC) which launch with widest range of choices from 1-Bedroom to 5-Bedroom unit types. The average transacted price is around $780 psf, which is slightly cheaper than Westwood Residences (around $795 psf). For first-timer still get to enjoy a subsidy up to $30k CPF grant which can be used to pay part of the 15% portion. As the winner of The Best Landscape Architectural Design, MCL Land offers you the best landscape and biggest landscape for your family. J-Gateway, LakeVille, Lake Grande, Hallmark Residences, Ripple Bay, Palms@Sixth Avenue, Terrasse, Uber 388, Este Villa, The Estuary, D’Mira, Parvis, The Peak@Balmeg, D’Pavilion, Waterfall Gardens, Hillcrest Villa, Tierra Vue, The Fernhill, The Esta, Mera Springs, The Grange, The Calrose, Mera East, The Metz. 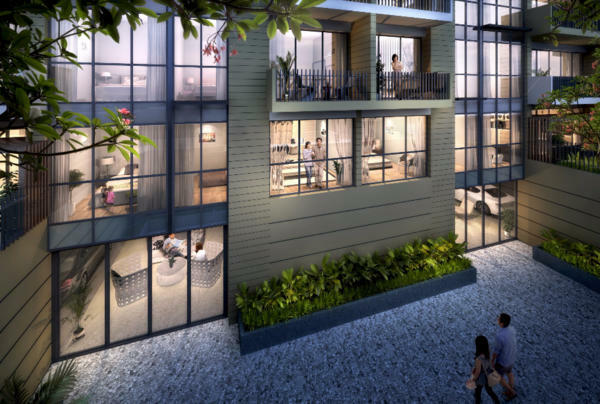 Sol Acres is located at the junction of Choa Chu Kang Grove and Choa Chu Kang Way, which joins up with the arterial Choa Chu Kang Road 100 m down. It is situated right across Choa Chu Kang Way to both Keat Hong & Teck Whye LRT Station. The developer is so considerate to public commuters so they planned the side gate at both edge of the site so that the residents at Sol Acres enjoy the shortest walking distance to both LRT stations. They are just 2 to 3 stops away from Bukit Panjang MRT station and Choa Chu Kang MRT station. Bukit Panjang MRT is the first station of Downtown Line which links to Orchard or Bugis in just 30 min. There are many interchange along the Downtown Line – Botanic Garden, Newton, Little India, Bugis, Promenade, Bayfront and Chinatown MRT station. Whereas Choa Chu Kang MRT station is along the North-South Line which connects direct to Woodlands at North and Jurong East at South. The Kranji Expressway (KJE) on the left connects to the Bukit Timah Expressway (BKE) and takes you to the Yishun, Sengkang and later Tampines areas via Seletar Expressway (SLE). The CBD and town areas are a 25-minute drive away via the BKE towards the Pan Island Expressway (PIE). The future Jurong Regional line (JRL) will link from Choa Chu Kang MRT station to Tengah, then NTU and Boon Lay MRT station directly without passing through Jurong East Interchange. There will be another upcoming executive condo launch soon at Choa Chu Kang Avenue 5, INz Residence where is opposite to the Tengah New Town. I foresee the situation that there will be a hike in demand of new homes in the vicinity due to the developments in the West. Residents at Sol Acres will enjoy lots of shopping and dining options in the proximity. The first choice is Lot One Shopping Mall, which is just 2 LRT stops or a 3-minute drive away and is the biggest mall in the neighbourhood. Tenants include Shaw Cinemas, Courts, NTUC, McDonald’s, KFC, 7-Eleven, Jean Yip, and more. You may check the available shops here. Reading lovers can visit Choa Chu Kang community library within the shopping mall. In addition, the upcoming five-storey Keat Hong Community Club opposite Lot One will get its own bowling alley and will open soon in 2017. 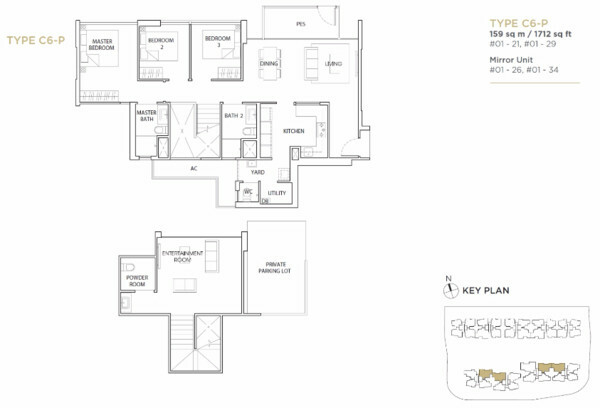 Furthermore, is Junction 10 which is just 10-min walk or 2-minute drive away from Sol Acres. Junction 10 offers wide variety of enrichment centres and child development schools, Giant supermarket and restaurants. The upcoming Hillion Mall next to Bukit Panjang MRT station to be ready in early 2017, will house more than 100 retail and dining options. Slightly further is the newly upgraded Bukit Panjang Plaza, which is a street across Hillion Mall and houses Bukit Panjang Community Library in addition to dining, fashion and lifestyle outlets. For golfers, Warren Golf and Country Club is a 5-minute drive away. As Jurong Country Club and Raffles Country Club will be acquired for HSR, the Warren Golf and Country Club will be the only huge golf course in the West. As for the healthcare needs, Choa Chu Kang Polyclinic is 800m away. Ng Teng Fong General Hospital at Jurong East is less than a 10-minute drive away. 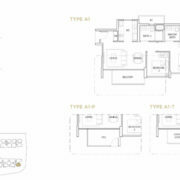 The development is carved into three zones, with each zone having similar facilities. For family activities, there are 2 BBQ pavilions, media rooms, and children’s party room. After a long day at work, you can head to the spa pool, hydrotherapy pool or jacuzzi for some relaxation time. Alternatively, you can also wind down at the gourmet chef terrace. The nearest competitors include Westwood Residences, Wandervale and the upcoming INz Residence. Treasure Crest is 100% Fully SOLD! Treasure Crest executive condominium is a home for young families, where many beautiful memories and treasures are deposited. Will be the cheapest EC in District 19. Entrance Entrance via Anchorvale Crescent. Security Guard Housewith Car Barrier System. “Treasure” connotes preciousness and value. It resembles a treasure of memories or repository of valuable things found in a home. Anchor Green Primary School, Compassvale Primary School, Punggol Green Primary School and Springdale Primary School. Secondary Schools: Nan Chiau High School and CHIJ St. Joseph’s Convent. 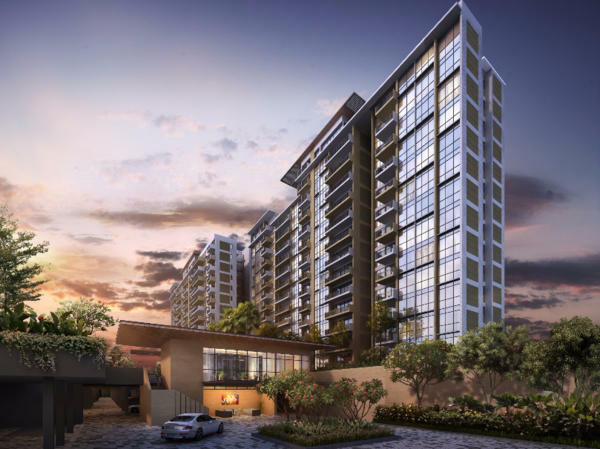 Treasure Crest price is expected to be the cheapest executive condominium in District 19. The price will be from $6xxk. The average price $psf could be $700psf. 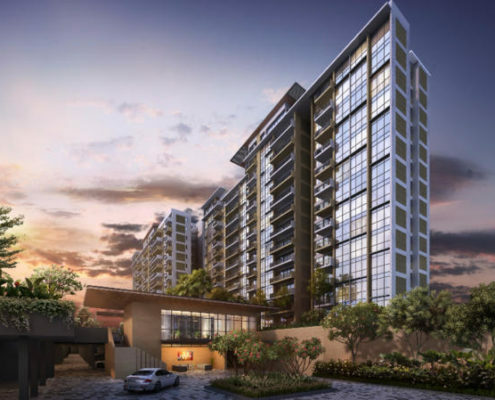 A new executive condo along Sembawang Avenue is the latest debut jointly developed by Frasers Centrepoint Limited and Kheong Hong Holdings Limited. The Development comprises of 11 blocks of 15 and 16-storey towers and is conveniently served by Sembawang MRT station and bus interchange. It is easily accessible via public transport and the upcoming North-South Expressway (NSE) will improve the overall connectivity of the road network island wide for motorist, providing links to existing expressway such as Seletar Expressway (SLE) and Pan Island Expressway (PIE). Situated among developed Towns like Yishun Centre and Woodlands, daily conveniences, grocery shopping, F&B and schools are just a stone’s throw away. Situated next to Canberra Park , Residents will get to enjoy the greenery view and vast openness of space. 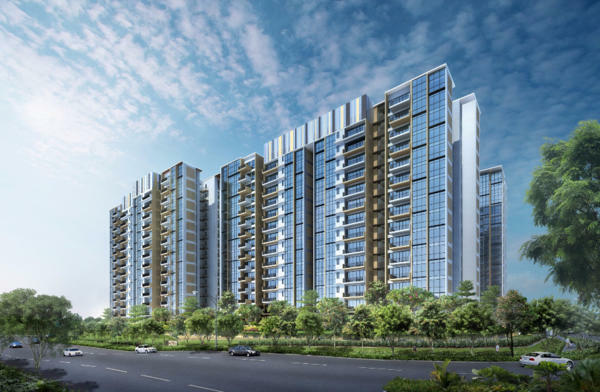 Parc Life EC price is expected to be the cheapest executive condominium in District 27 (Sembawang / Yishun). The Project was Fully SOLD! The Vales EC is the Nearest EC to MRT Station in District 19. MINUTES WALK TO SENGKANG MRT STATION! 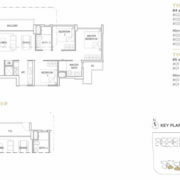 LAST FEW MAISONETTE UNITS AVAILABLE! 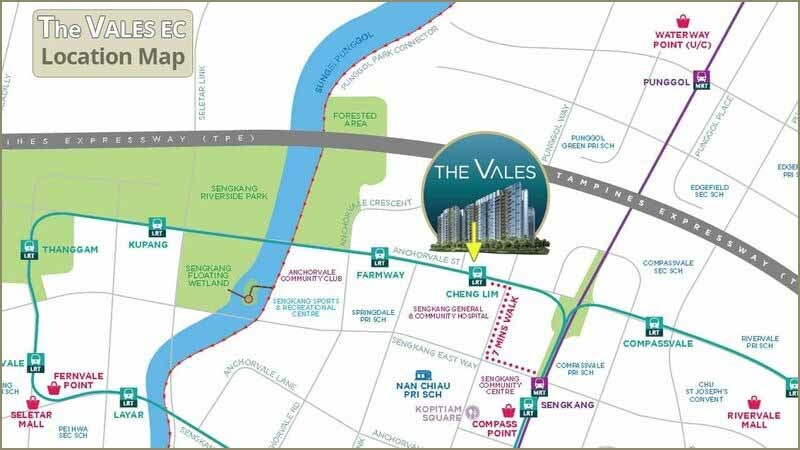 THE VALES EC IS THE NEAREST EC TO SENGKANG MRT STATION. 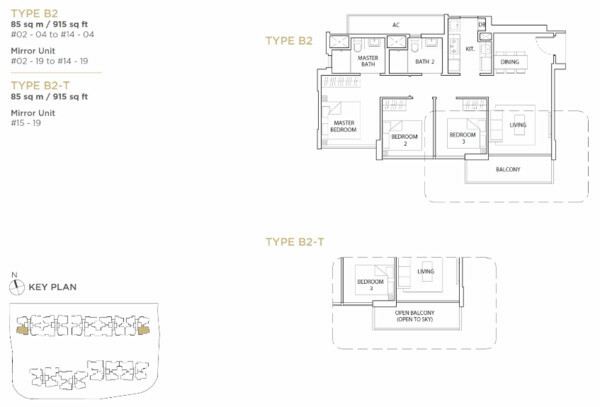 Low Quantum & Affordable Price from $6xxk for a 2-Bedroom and $7xxk for a 3-Bedroom. Price list is also illustrated as below. ♥ The Terrace EC Sales Chart: More than 77% Sold! 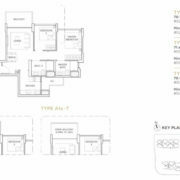 As on 14 Nov 2016, there are 118 units of 2-Bedroom, 3-Bedroom & Maisonette still available, therefore you might not sure which unit to choose from. Here, we have done our research and share with you for the preferred units from buyer’s point of view. The Project was 100% Sold Out! Register for the bounce out units. Singapore Minister for National Development (MND) Mr. Lawrence Wong unveiled the masterplan for Singapore’s 24th HDB town, Tengah, at the HDB Awards Ceremony on 8 September 2016. This future development is a great news to residents in Choa Chu Kang Town. As of 2016, Qingjian has developed six executive condominiums. Qingjian will present their seventh executive condominium development at Choa Chu Kang Avenue 5 in 2017. Qingjian is the constant leading developer with new ideas and innovation in Singapore. In 2013, Qingjian launched the CoSpace concept in Ecopolitan EC. CoSpace offers flexibility in terms of space customization, where the buyers can select the option which meets their lifestyle needs. Qingjian introduced the smart portal living mobile app, HiLife for residents at Riversound Residence EC when it was completed in 2015. The app allows residents to book condo facilities. In 2016, Qingjian introduced the first smart home EC as Singapore’s Smart Nation initiative gets underway. 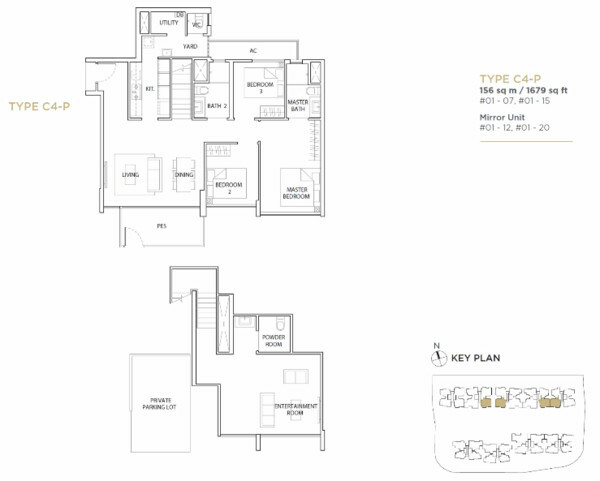 Inz Residence (Choa Chu Kang Avenue 5 EC) is the executive condominium development in Choa Chu Kang. The executive condo will yield approximate 490 apartments. The construction of Choa Chu Kang EC is expected to be completed in 2020. Inz Residence (Choa Chu Kang Avenue 5 EC) is located along Brickland Road which leads to Jurong Gateway in 5 min drive through Bukit Batok Road. Situated in the North-West region in Singapore, future residents in Inz Residence EC will enjoy the ultimate convenience of being close to future Tengah Forest Town, Jurong Innovation District (JID), Jurong Gateway, and Woodlands Regional Centre. With new future Jurong Region Line will connect from Choa Chu Kang to future Tengah Forest Town, Boon Lay, NTU, Jurong Innovation District (JID), Jurong Gateway and West Coast. It is expected to be complete by around 2025. Singapore will create the first a car-free Town Centre in an HDB town. The Tengah Town Centre will be designed amidst a lush park, with vehicles playing underneath the town centre. It will offer a greener, car-lite, people-friendly and pedestrian-friendly environment. All the roads in Tengah will also come with dedicated walking and cycling paths on both sides of the road, to enable residents to enjoy seamless and safe connections for walking and cycling. The exciting developments for Tengah will be rolled out progressively. When completed, Tengah is estimated to provide about 42,000 new homes, which include about 30,000 units new flat and 12,000 units private condo. Beyond Tengah, the western region is also undergoing an urban transformation. The Jurong Lake District will be transformed into Singapore’s second Central Business District (CBD). Besides that, Jurong Innovation District (JID) is also within close proximity to Inz Residence (Choa Chu Kang Avenue 5 EC). JID will be Singapore’s largest living lab, enabling testing and development of future technologies such as self-driving vehicles, smart robots, and assistive technologies. All these new developments in the Western region will open up exciting job, residential and recreational opportunities for everyone. Ever wished there was an app that could help to turn off the air-conditioner when you forgot to do so when you are rushing off from home or turn on the air-conditioner in advance to cool your home temperature while you are on the way back to home? Or open the door if your online shopping stuff delivered while you’re out? Homes with such smart features are now a reality in Singapore. Qingjian combines technology with both smart design and a location with future potential. Inz Residence (Choa Chu Kang Avenue 5 EC) will come with smart homes system along with security features. 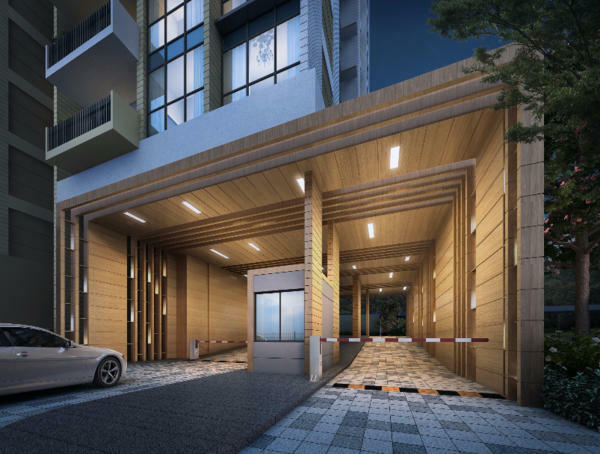 For instance, the entrance is integrated with a smart digital lockset which allows residents to lock and unlock the door remotely, via mobile app, to let in authorized deliveries, domestic helpers, and even the kids. Units are equipped with smart IP cameras that allow residents to see what’s happening at home while they’re away. Smart motion sensors serve as additional eyes and ears while home owners are not around, and can send alerts out while unexpected motions of children or pets are detected. The sensors also allow efficient usage of utilities, such as when residents set lights to turn on only when motion is detected. The CoSpace concept is an innovative use of space that allows you to create versatile spaces to suit your lifestyle. 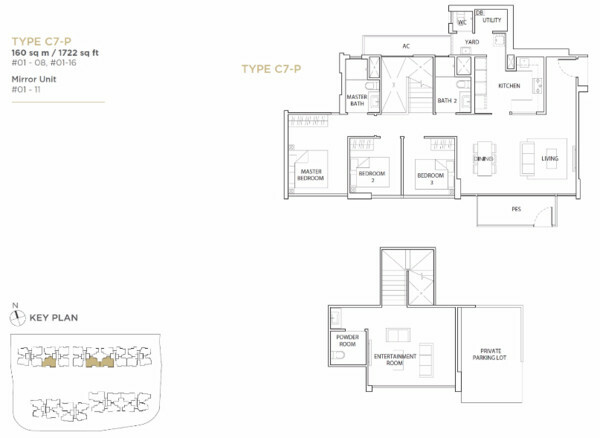 Buyers who purchase the 3-bedroom CoSpace unit can combine the study and storeroom to form a 4-bedroom unit. 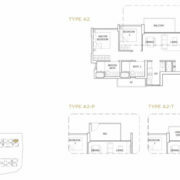 For the 4-bedroom CoSpace unit, they can combine the study and the walk-in wardrobe to form a bigger walk-in wardrobe. According to HDB, Qingjian Realty won the bid for the 1.6ha residential site at Choa Chu Kang Ave 5 on Aug 2015. The land was sold at $156 million, which translates to $295 psf on the gross floor area. 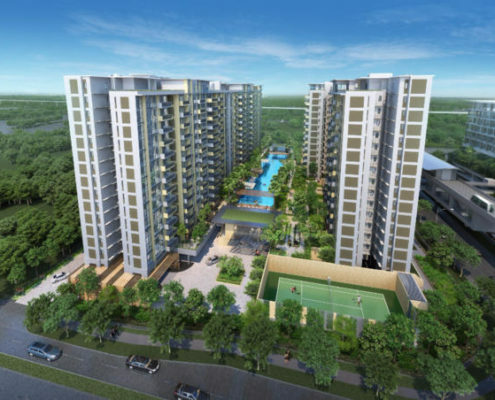 Inz Residence (Choa Chu Kang Avenue 5 EC) is estimated to be launched at the average price of $780 psf. 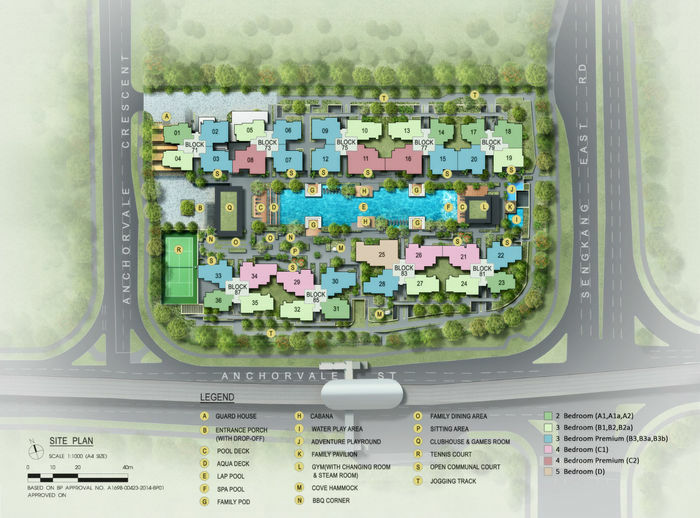 Other ECs in the West include Westwood Residences, Wandervale and Sol Acres. 23 Jul 2017: Hundred Palms Residences EC 100% sold out in seven hours. Register with us to book the bounce out unit if available. Rivercove Residences is the ONLY ONE EC to launch in 2018! 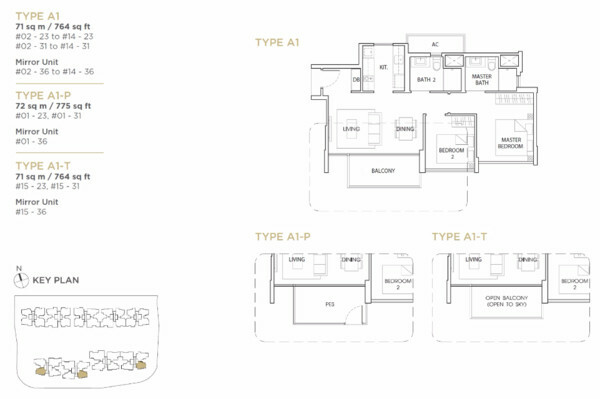 Rivercove EC will yield 628 units, ranging from 3 to 5 bedroom type. 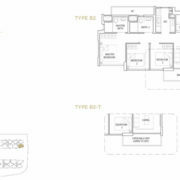 From the smallest 3BR 904sqft all the way to 5BR 1485sqft and 4 units per floor. Click for details. Hundred Palms Residences developer, Hoi Hup to Dominate Upcoming New EC Launch in North-East Region? The executive condominium (EC) site along Yio Chu Kang Road was successfully bid by Hoi Hup Realty who beat the other 9 developers on Feb 2016. Hoi Hup is known to be the dominator of upcoming new executive condominium (EC) launch in 2017 and 2018, especially the two projects are situated in District 19. Another EC is located at Anchorvale Lane. Hoi Hup bid the land at $183.8 million, which translate to $331 psf per plot ratio. The developer named it as Hundred Palms Residences and will yield 531 EC units, ranging from 3 to 5 bedroom type. Hoi Hup Realty is a well established residential developer since 34 years ago. Completed over 31 past condominium launch and currently is developing Sophia Hills at Dhoby Ghaut. Hoi Hup has a pipeline of two executive condominium projects in District 19. It has been some time since the previous EC has been put up for sale in the Hougang and Yio Chu Kang area. 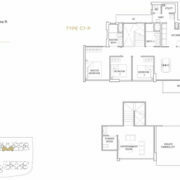 The site is situated in a mature residential estate and is relatively close to town. It is close proximity to the reputable Rosyth School which gives developers higher confidence that strong demand from young couples planning to enrol their children in the school. Enclave within the Hougang housing estates, Hundred Palms Residences is a matured town with good schools and a variety of amenities. To be completed in 2020, the residents in Hundred Palms Residences will be able to enjoy more amenities and recreational options and have access to more jobs near home. 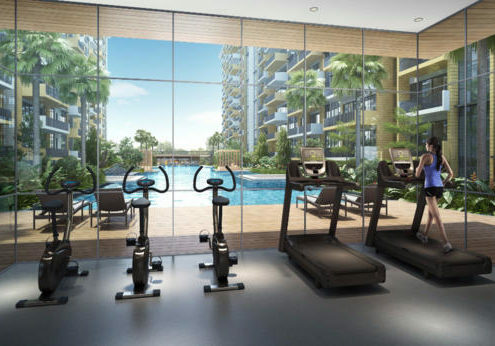 Nearby amenities includes the Hougang 1 shopping mall, Hougang Sports Centre and Nanyang Polytechnic. The nearest MRT stations are Hougang, Buangkok and Kovan MRT stations. 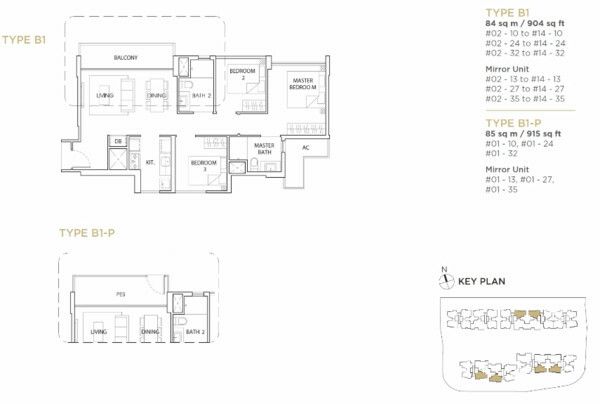 We expect all these attributes will account for the high take up rate for the launch of Hundred Palms Residences. Served by integrated transport hub, Hougang is well connected to the other parts of Singapore via public transport. Hundred Palms Residences is easily accessible via Central Expressway (CTE) to all parts of Singapore. Traveling to the city takes only 25-minute drive. In the near future when the North-South Expressway is completed, the travel distance will be 5-min shorter. Cross Island Line (CRL) will pass through Hougang when it starts operations by 2030 and will provide a direct MRT route to Changi and the west, as well as major towns over Singapore. When completed, the Cross Island Line (CRL) which joins from Jurong, West Coast, Clementi, Bukit Timah, Ang Mo Kio, Hougang, Pasir Ris, Loyang and Changi. In other words, the CRL will provide a faster shortcut route between Hougang and the east or west. Defu Industrial Park will be redeveloped to offer more jobs and better work environment with cycling network and amenities centre. The upcoming new generation industrial park, Lorong Halus Industrial Park will create more jobs in light and clean industries, hence will boast a vibrant riverfront lined with lush greenery. Serangoon Sub-Regional Centre is a new commercial development which provides office space outside the city. Seletar Aerospace Park (SAP) is currently hosting the leading firms such as Rolls-Royce Group, ST Aerospace and Eurocopter. When SAP completes the expansion works, it will create up to 10,000 jobs and generate highly-skilled employment opportunities. Rare executive condominium in this location. Reputable Rosyth School just opposite. Future potential growth due to Cross-Island-Line (CRL). Low supply of executive condominium (EC) in 2017 and 2018. 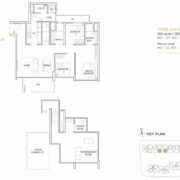 Developed by high-end developer, Hoi Hup Realty. 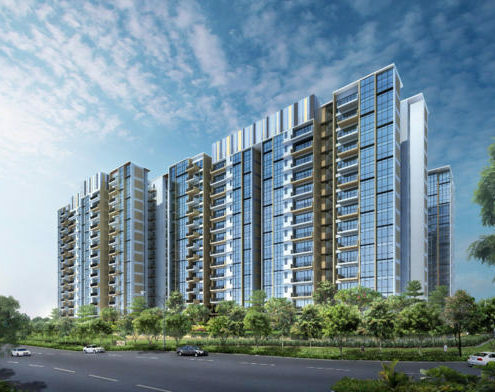 The executive condominium (EC) site along Yishun Ave 1 is developed by CDL. CDL is known to be one of the best developers in Singapore with multiple awards. 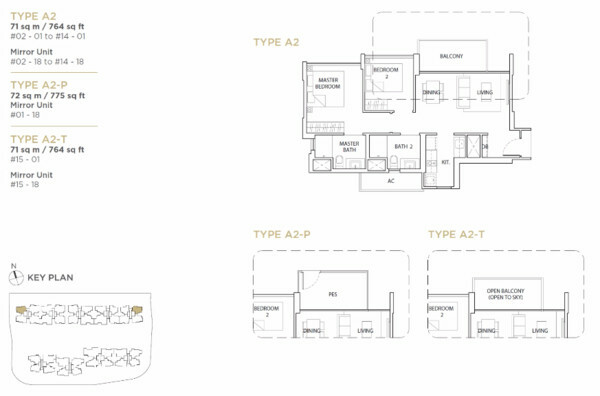 The Criterion EC will yield 505 EC units, ranging from 2 to 5 bedroom type. Future potential growth due to North South Expressway and Cross Region MRT Line. Developed by the reputable developer, City Development (CDL). Total 80% Sold. 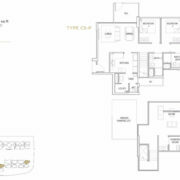 4 & 5 Bedroom All FULLY SOLD! Hoi Hup is known to be the dominator of the last two latest executive condominium (EC) launch in 2017 and 2018. Both projects are located in District 19. The new development named as Rivercove Residences and will yield approximately 628 EC units, ranging from 3 to 5 bedroom type. The proposed name of Rivercove Residences draws inspiration from where it’s located next to the river bay of Sungei Punggol. 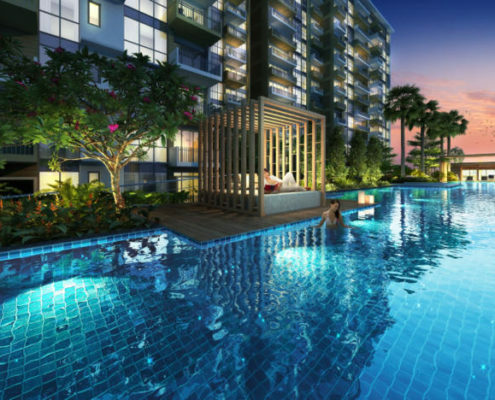 It has been more than one year since the previous nearby EC, Treasure Crest launched for sale at Anchorvale Crest. 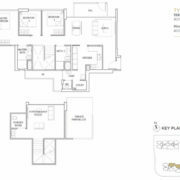 The site is situated in a mature residential estate and is relatively close to town. It is within 1km proximity to the reputable Nan Chiau Primary School which gives developers higher confidence that strong demand from young couples planning to enroll their children into the school. Located in Sengkang West, Rivercove Residences is a perfect pre-planned town with good schools and a variety of amenities. To be completed in 2021, the residents in Rivercove Residences will be able to enjoy more amenities and recreational options and have access to more jobs near home. 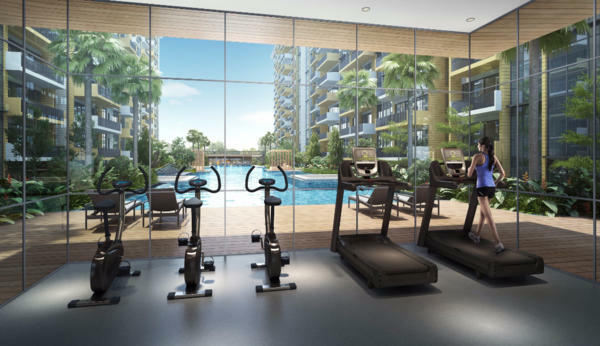 Nearby amenities include the Anchorvale Community Club, Sengkang Sports Centre, Compass One, Seletar mall, Sengkang General Hospital. The nearest MRT and LRT station is Sengkang MRT station and Tongkang LRT station respectively. We expect all these attributes will account for the high take up rate for the launch of Rivercove Residences. Rivercove is easily accessible via TPE, CTE and KPE to all parts of Singapore. Traveling to the city takes only 25-minute drive. In the near future when the North-South Expressway (NSE) is completed, the travel distance will be 5-min shorter. When completed, the Cross Island Line (CRL) which joins from Jurong, West Coast, Clementi, Bukit Timah, Ang Mo Kio, Hougang, Pasir Ris, Punggol, Loyang and Changi. Extremely low supply in the executive condominium market. Reputable Nan Chiau Primary within 1km. Enjoy the beautiful unblocked view. Developed by the high-end developer, Hoi Hup Realty.